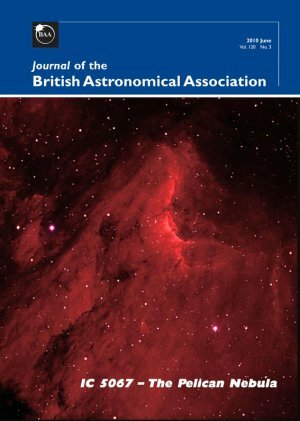 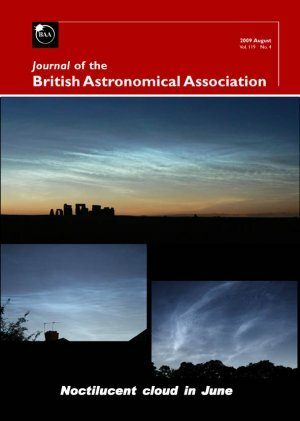 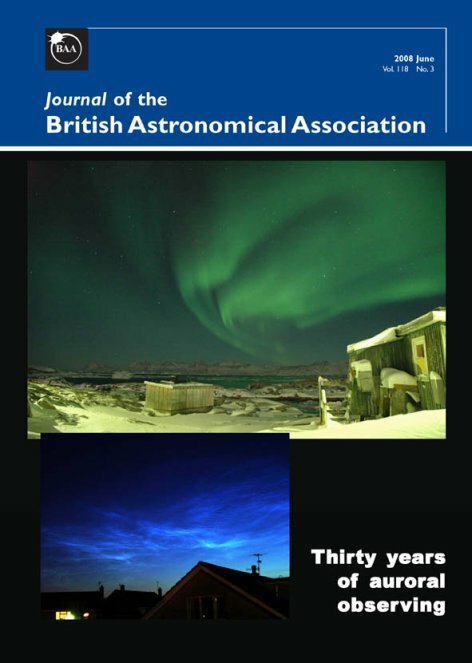 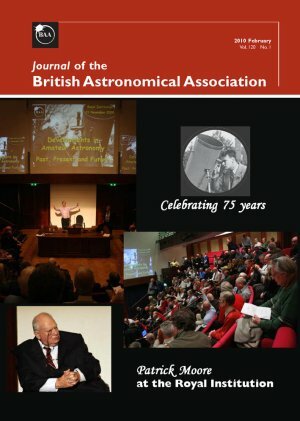 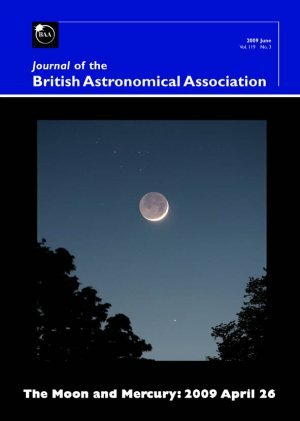 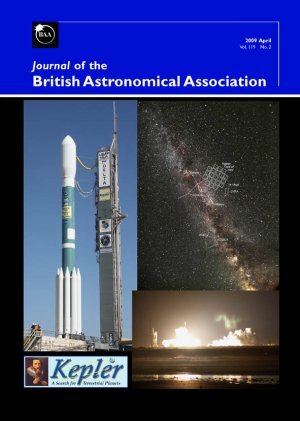 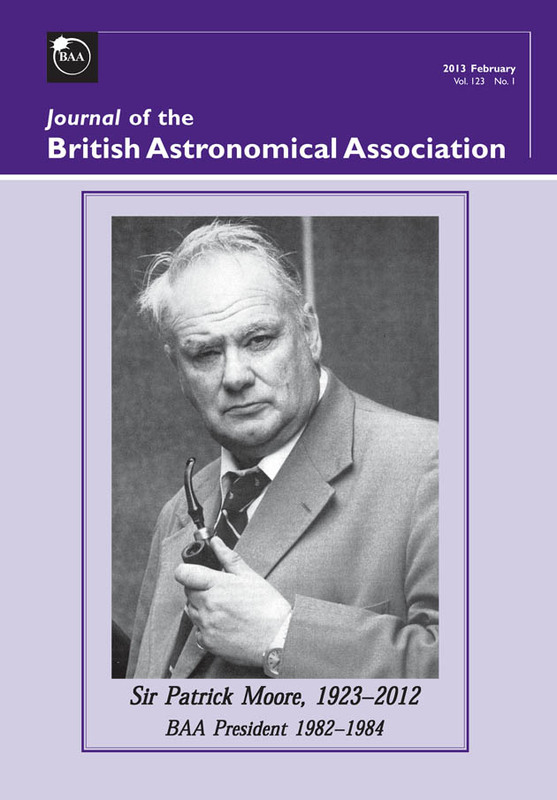 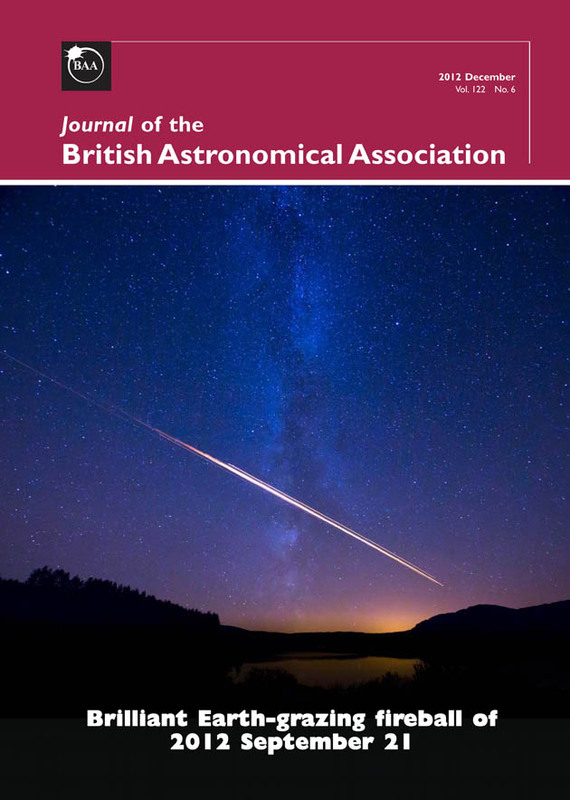 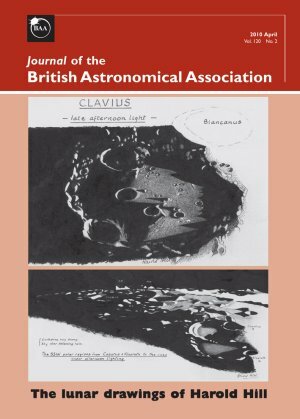 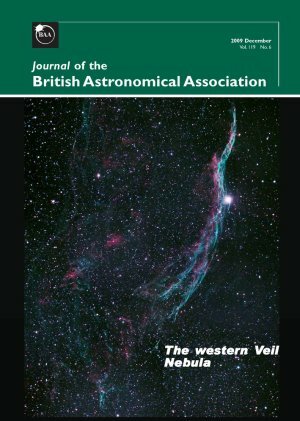 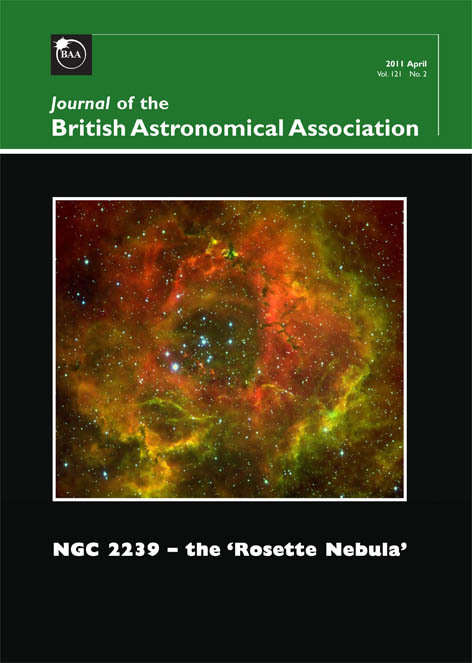 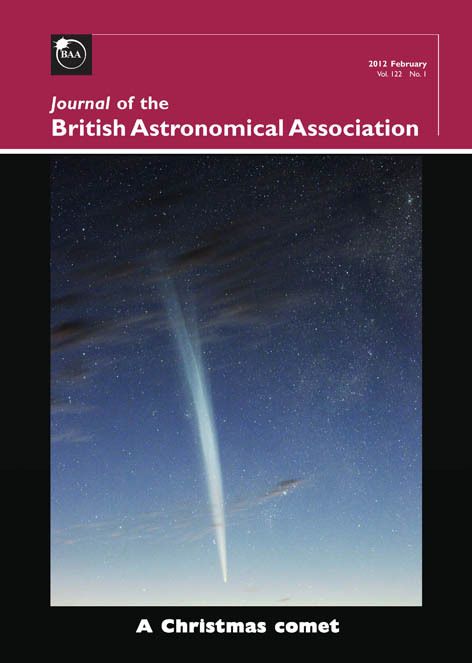 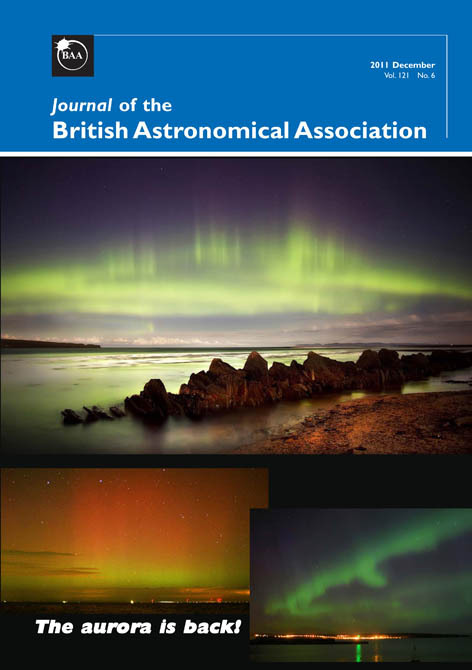 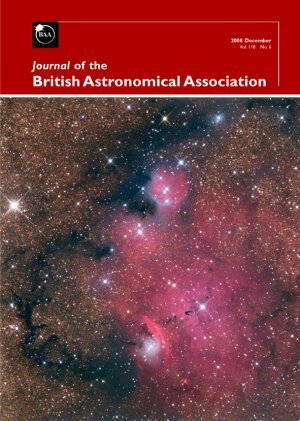 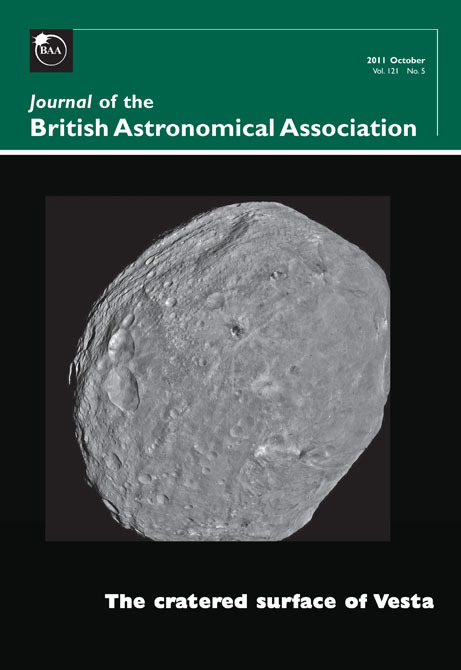 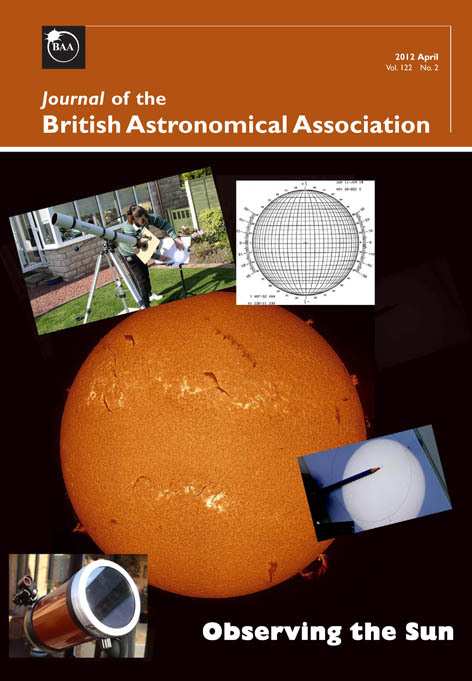 This is an archival page, listing old issues of the Journal of the British Astronomical Association which date from 2008-2013. 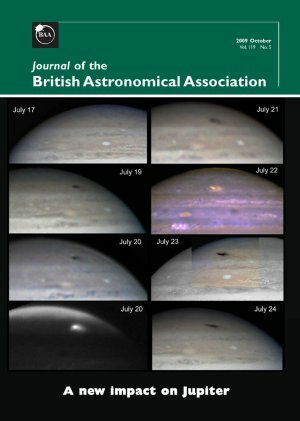 It is no longer updated; you can find more recent issues of the Journal here. 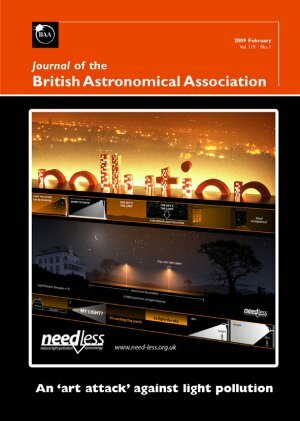 Searchable Indexes to the Journal are available here. 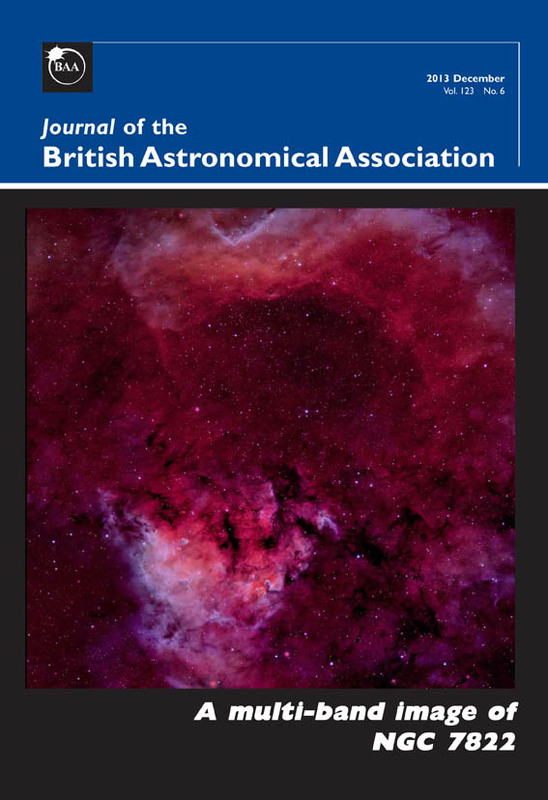 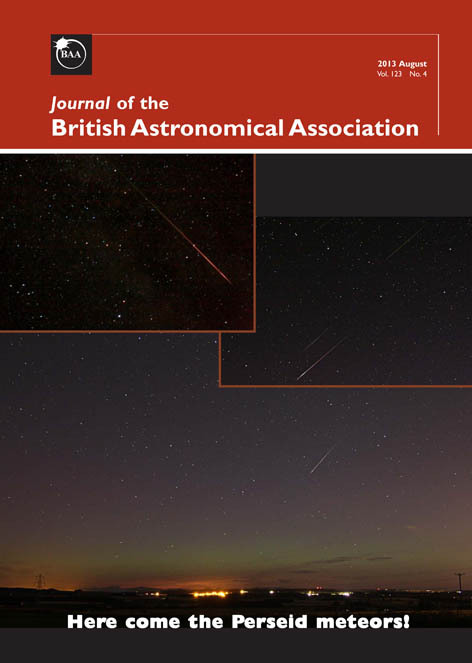 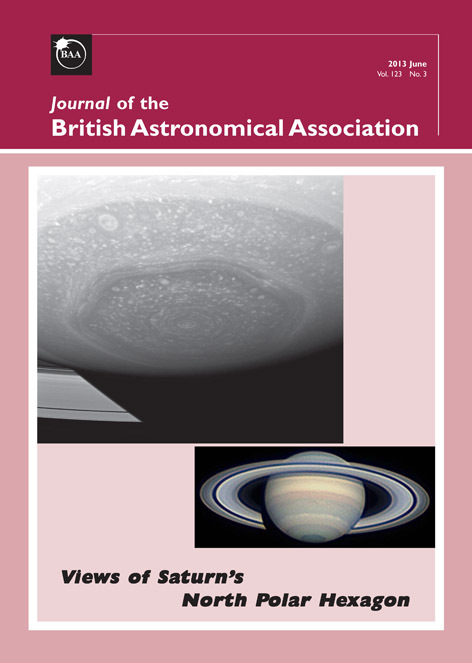 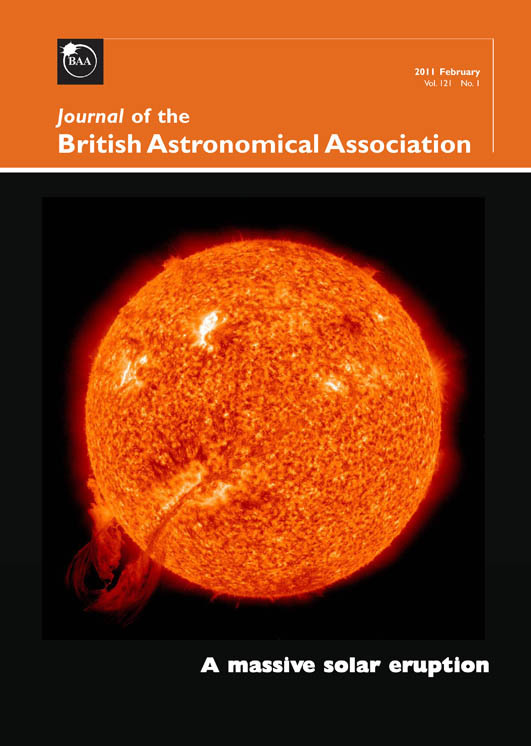 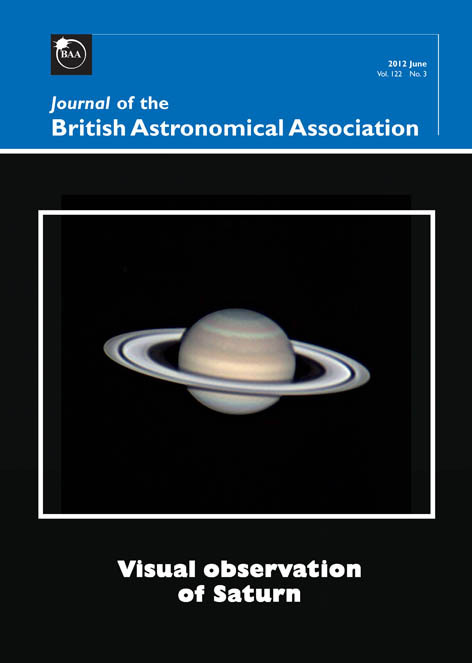 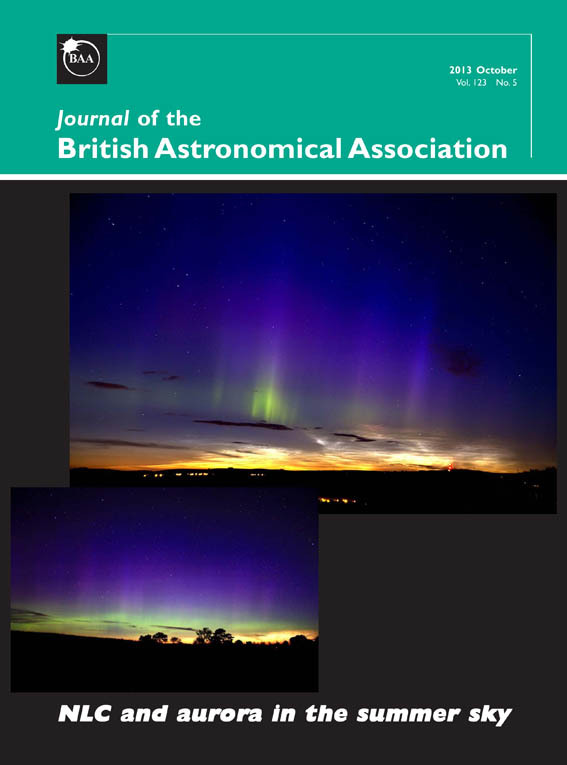 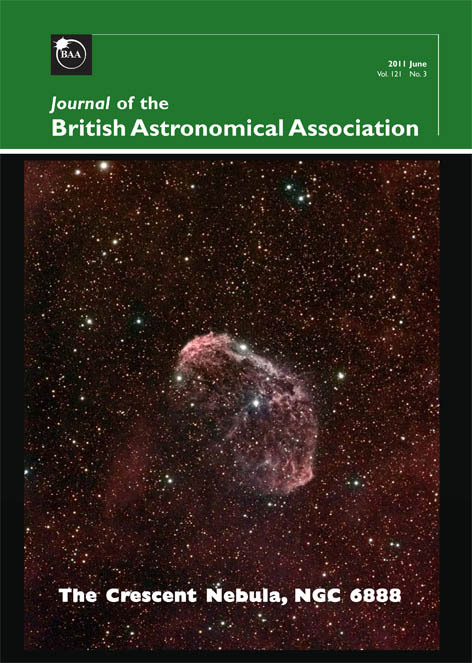 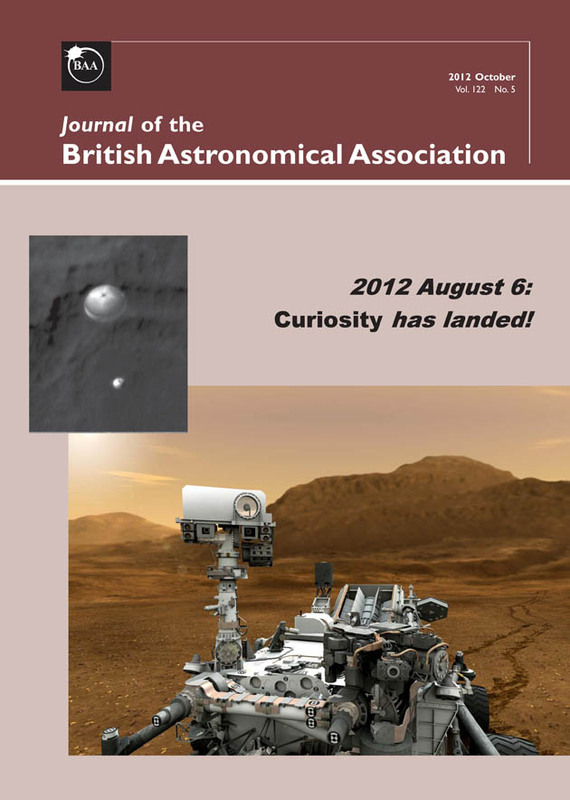 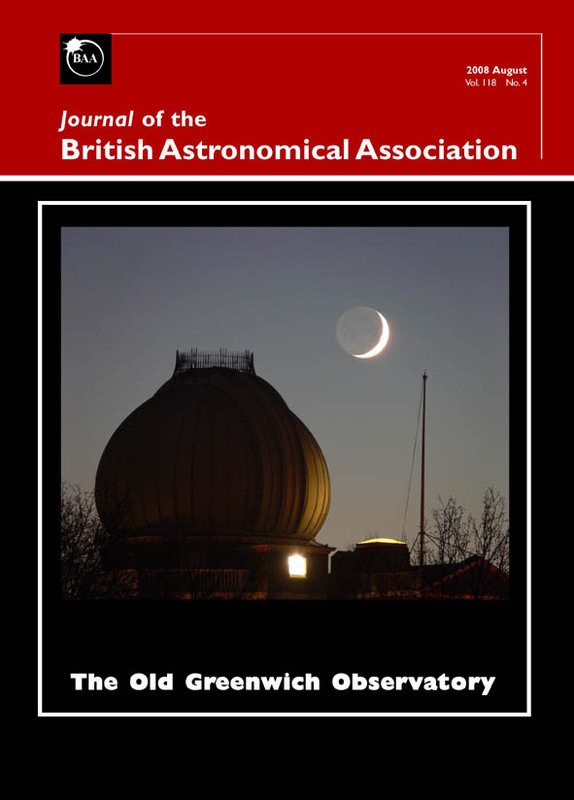 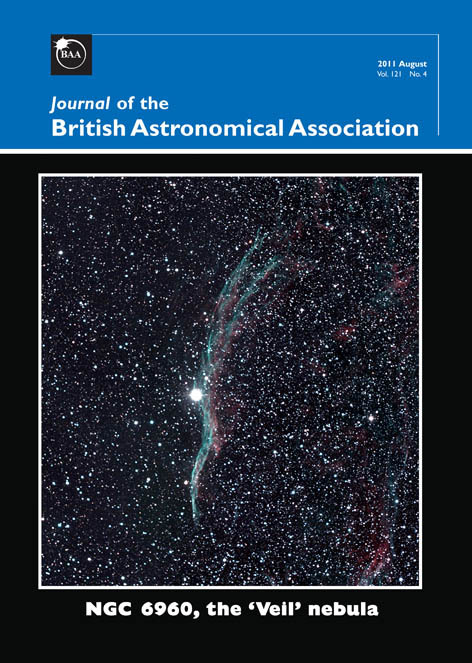 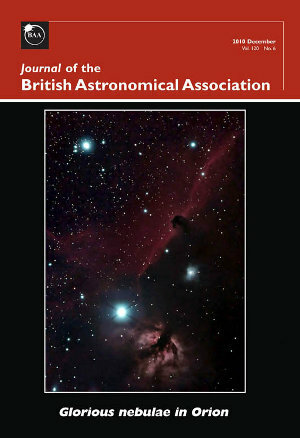 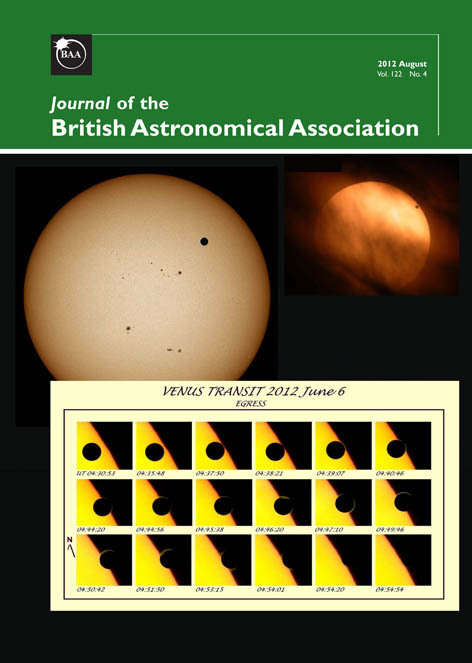 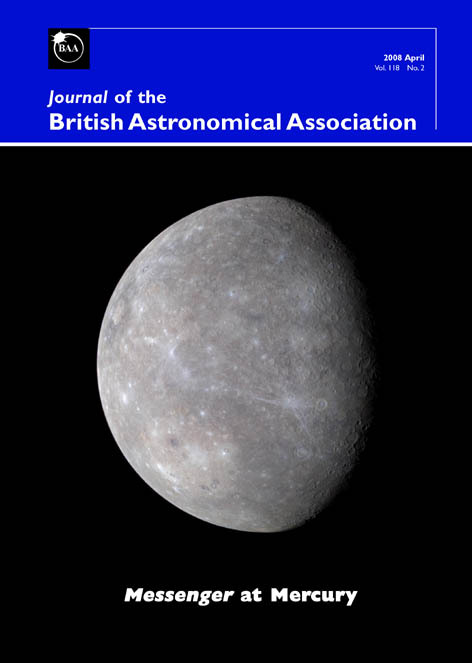 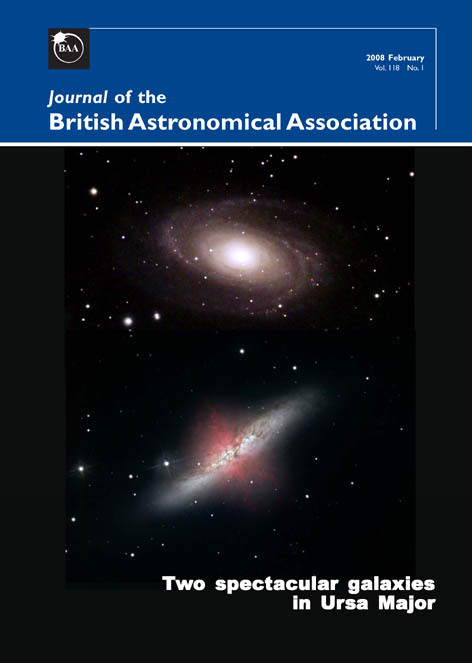 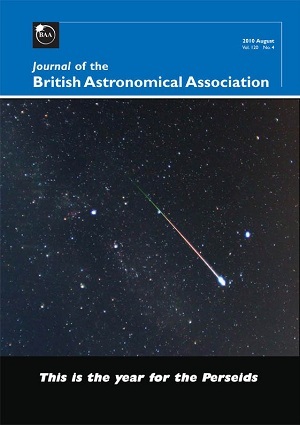 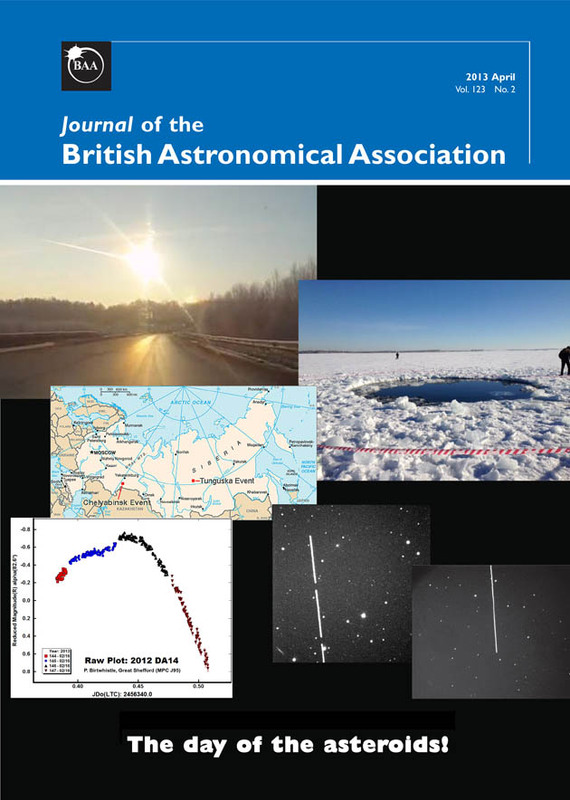 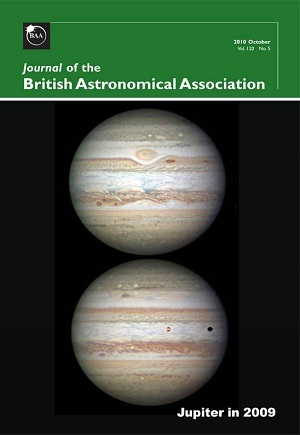 The Journal is copyright British Astronomical Association, 2013. 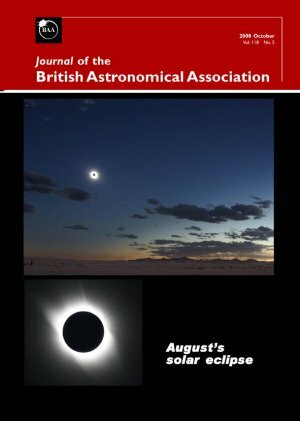 Any request to reproduce material from the Journal or these Web pages should be addressed in the first instance to the Editor.